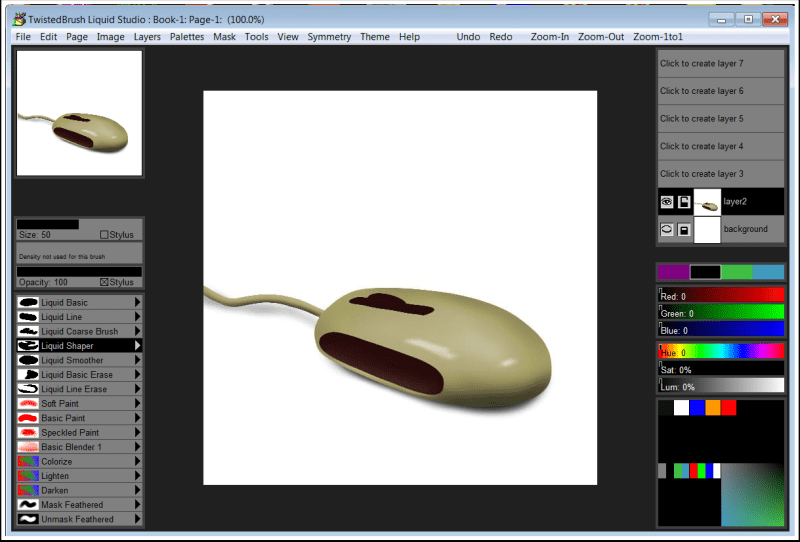 Focus on creation of individual objects that you may use in other other art software. Model as if with 2D clay and paint your objects with expressive brushes after. TwistedBrush Liquid Studio is a product born from TwistedBrush Pro Studio but with a focus on creation of individual objects that you might use in other Pro Studio or other art software and with a simpler, streamlined interface. The Liquid paints allow you to model and shape your objects and then paint them with the included brushes with the results being crisp lines you might see in illustration software but without the need to mask anything. You can even continue to shape your objects after they are painted. iCoolsoft AC3 Converter is a powerful tool to extract AC3 audio tracks from movie and convert to popular audio files like MP3, AAC, M4A, WMA, etc. It also helps convert MP3 to AC3, MP2 to AC3, WMA to AC3, MKA to AC3, and so on. Allok QuickTime to AVI MPEG DVD Converter is a powerful QuickTime converter software which can convert MOV, QT, MP4, M4V to AVI,DivX,Xvid, MPEG1, MPEG2, VCD, SVCD, DVD format. HP HP0-S20 Implementing HP BladeSystem online exam prep downloads.Pass HP0-S20 in first attempt guaranteed.